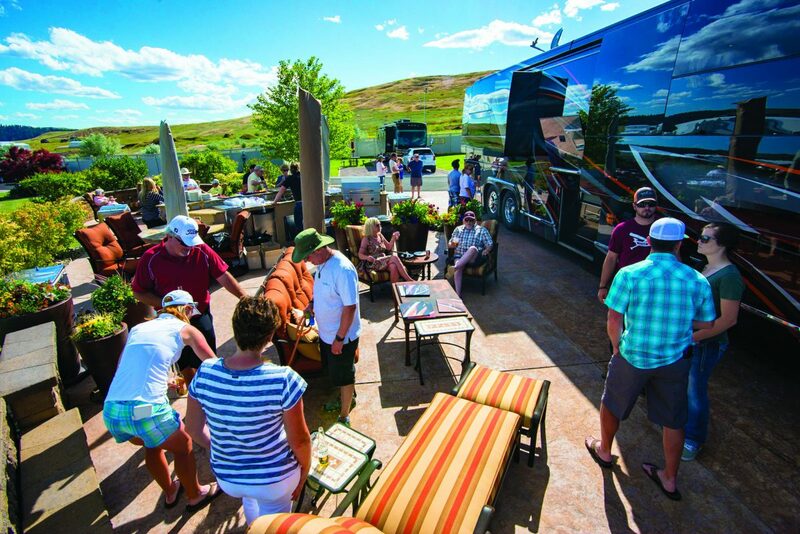 A coveted spot among discerning travelers looking for natural beauty, Polson Motorcoach & RV Resort in Polson, Montana, once again proved to be the ideal location to host an open house and June evening jubilee, displaying one of Marathon’s latest show coaches. 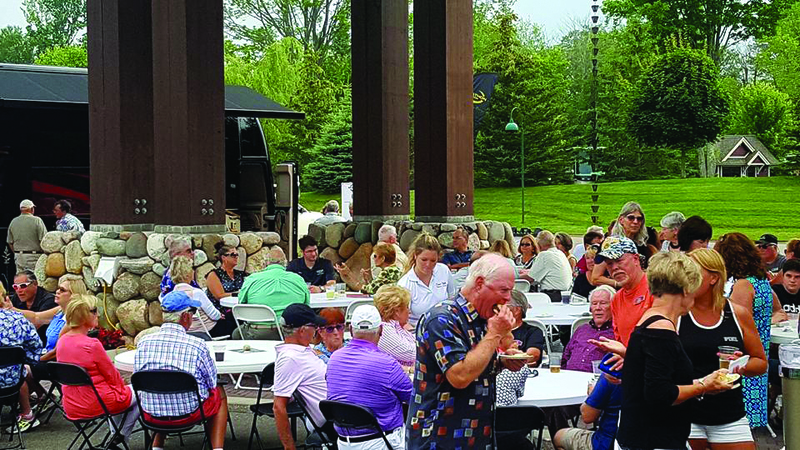 On Aug. 19, Marathon Coach Salesman Rick Mount hosted a successful open house and evening soirée at Tiger Run in Breckenridge, Colo. This brilliant and sunny getaway was the perfect place to showcase Marathon’s luxury coach lifestyle and make new friends. 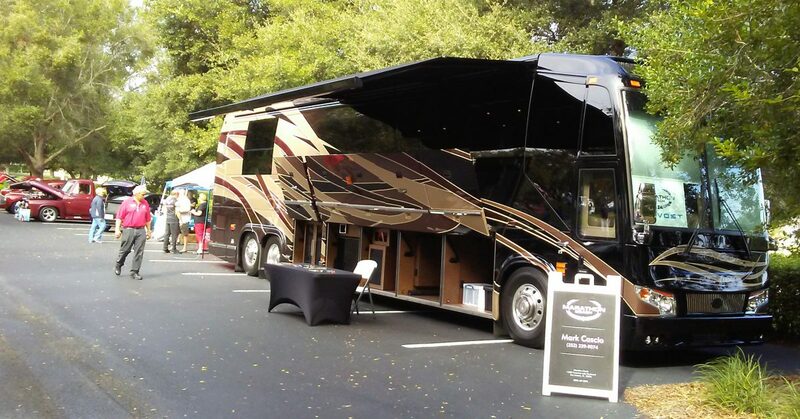 Marathon Coach Salesman Greg Burton displayed Marathon Show Coach #1258 July 16-29 at the ever-relaxing, beautifully-manicured grounds of Hearthside Grove Luxury Motorcoach Resort, located in the lakeside community of Petoskey, Mich., nestled along Little Traverse Bay. This celebration of summer and the coaching lifestyle took place the evening of July 22. 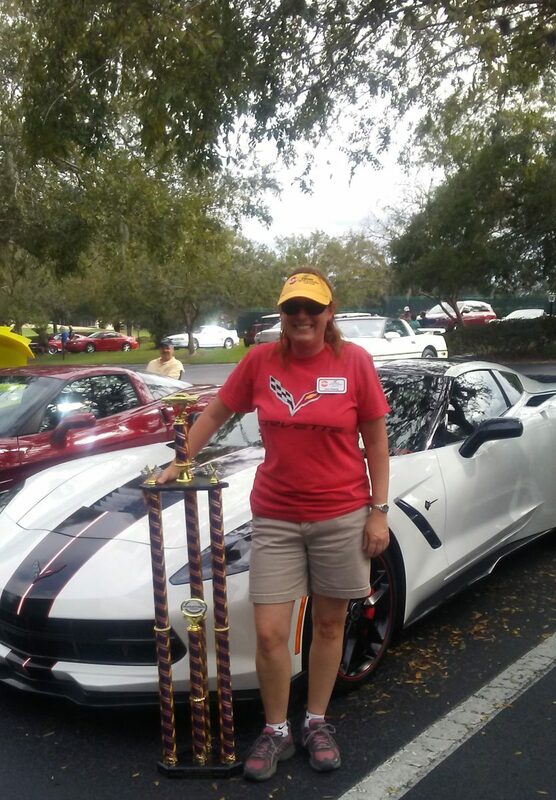 On Nov. 12, Marathon Coach Salesman Mark Cascio had a great time at the Citrus Hills Car and Truck Show, presenting the Best in Show trophy to Lisa L. with her winning Corvette. Many attendees toured the coach in this perfect country-club setting, sharing positive comments all around. Wonderful food, a talented DJ, sunshine and auto enthusiasts made for an ideal day. 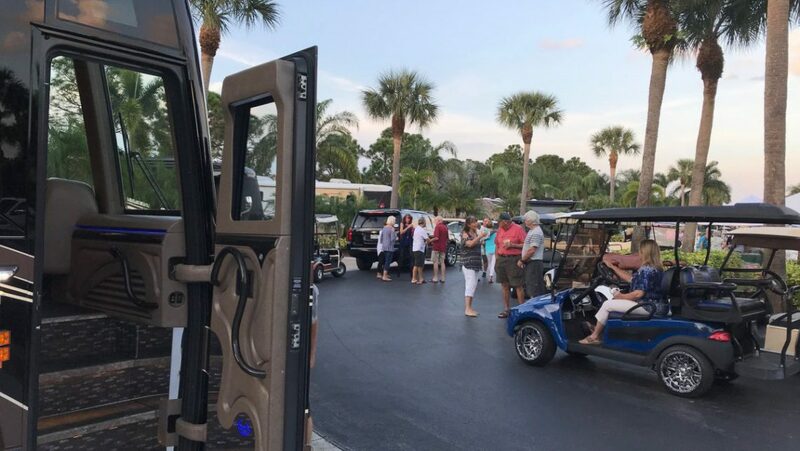 The Indio season kickoff included the Nov. 14 Motorcoach Country Club (MCC) Lot Party with an Oregon dessert wine and chocolate bar, and the Nov. 15 Outdoor Resorts Indio (ORI) Open House with an enthusiastic crowd. People were seen paging through “Sip Northwest” looking to see what awards the featured wines had won, while others explored the beautiful Marathons that were on-site. The new show coaches that were on display–Marathon Coach #1269 and #1271–stole the show. Thank you to all of our friends, both new and old, for making these events a success. The Hot Springs, Arkansas area is known for some of the most scenic rides in the country, so it’s no wonder the Oct. 1-7 Bus N Bikers Club Rally at Spa City was a winner. From gorgeous drives of Arkansas’s Scenic Byway 7 to the popularity of Marathon’s show coach, #1264, the event was full of exciting goings-on. Marathon Coach Salesman Greg Burton reported an excellent turnout with more than enough merrymaking to go around. 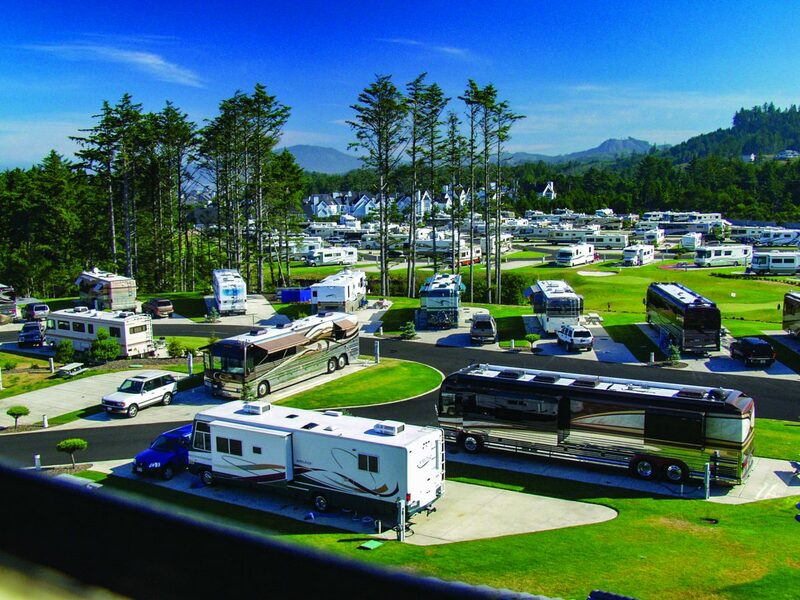 September 15-18 found Marathon Coach at beautiful Pacific Shores in Newport, Oregon. Hosted by Marathon Coach Salesman Mal Williams, this open house was wildly successful. Pacific Shores, overlooking the Yaquina Head Lighthouse in Newport, Oregon is a great location. Look for Mal to have several open houses this spring and summer – stop in and see the latest from Marathon. In mid-May, Marathon rolled into the “C-Suite Quarterly” annual award showcase at Clay Lacy Aviation, located at historic Van Nuys Airport. Marathon Coach Salesman Mal Williams and Marathon Coach Salesman Greg Burton showed off the latest from Marathon Coach to the movers and shakers of Southern California. It was a night of high tech as Marathon was featured alongside custom jets, exotic cars and award-winning cuisine.